We’d like to thank the following businesses who have pledged a charity match for our July 20-22, 2018 “Crazy Pineapple” and “Winners Shown” Events at Canterbury Park! Good enough to make it into a Food Network “Best. Breakfast. Ever.” episode, PIFT highly recommends you check out this gem of a restaurant located in Golden Valley, MN, off of 394 and Xenia Ave S.
Would you like to see your business listed here? Email schneids at piftpoker.com or use the “Contact Us” for more details about the perks of being a diamond, platinum, or gold level pledger. DFSR (Daily Fantasy Sports Rankings) is a website and community for people looking to improve and win at daily fantasy sports. They sell access to a statistical modeling tool and a lineup optimizer for casual and serious players alike. They also love the mission of PIFT, and are thrilled to see people who have been lucky enough to play games for a living give back to the world at large. You can check them out at www.dailyfantasysportsrankings.com. 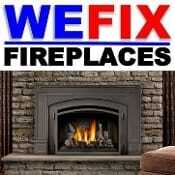 Your #1 source for Napoleon Fireplaces and Grills, these guys turn old, outdated fireplaces into modern showcases. Schneids approved, they’re fast, courteous, and professional. Vickie Zell: $50, on behalf of her recently passed daughter, Maureen Holmberg, who brought Vickie to her first poker game.